Versatile actor Pankaj Tripathi is being lauded for his performance in Hotstar Specials’ Criminal Justice. He will be seen next in Kabir Khan’s 83. Robert De Niro quits ‘Criminal Justice’? Criminal Justice actor Pankaj Tripathi shares how his self-awareness helps him stay sane, why his choices don’t depend on his audience and how his smile is enough to engage with people on screen. Q. From back-to-back film projects, web-series to endorsements, you seem to be everywhere. Have you gotten used to being busy? Absolutely. It hasn’t been difficult to handle but it pains me at times that I am not able to give time to my wife and daughter. So, whenever I get a day off, I am only with them. I switch off my phone. I cook. In fact, my daughter and I have bonded a lot lately. We have started understanding each other more. I sat at home without work, and struggled for eight years. So, it’s okay now. I tell my wife, ‘I was home for 10 years. So, now let me work as much as I can.’ I ask them to visit me on my shoot location. Q. How important is it for an artiste to stay connected to his or her reality? I know everything is a lie, an illusion. Today, I am working so much and people are talking about me and wherever I go, people ask for selfies. I know it’s possible that after five or 10 years, no one would ask about me. I know my reality. Even today, I go to my bhaajiwala. On my way back home, I will go and buy vegetables for salad. I am very close to reality. I have always been attracted to powerless people more than powerful, like Madhav Mishra in Criminal Justice. He is a powerless lawyer, who is fighting a battle for survival. He somehow gets this case of Aditya, played by Vikrant Massey. If you are not connected to your surroundings, how will you get depth in your characters? If you start walking on clouds, you will become disconnected to the reality around you. I will become a liar in life, which will make me fake in acting also. I will become habitual to staying aloof. So, when I get offs, I go to my village, Recently, I stayed with my parents for two days. My house is being painted, one of its walls is getting plastered. I am aware about all that. My daughter scored 29 in mathematics. I also know that she is weak in this subject. So, I am aware about everything, from societal issues to family matters. 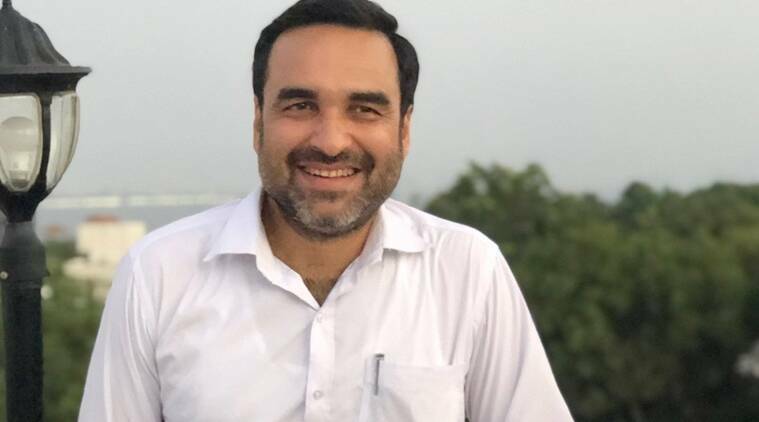 Pankaj Tripathi in a still from Luka Chuppi. Q. Even the audience seems to want realism in films today. In your understanding, has the audience evolved or has the industry pushed content which feels closer to home? This shift has been from both ends. With the advent of internet, a young boy or a girl in Indore has the access to watch world cinema. So, the audience has evolved. At the same time, the stories that we are getting now. For instance, Anubhav Sinha made Mulk last year. Before that, he made Cash, Ra.One and Tum Bin. So, how do you look at the fact that the director of Tum Bin made Mulk? He had the capability of making a Mulk even then but something else was selling then. So, while the audience has grown, even filmmakers see the possibility of telling such stories. They know there’s a market for a Stree and a Badhaai Ho, which are entertaining but also have stories to say. Industry still has the same people, only stories and storytelling has changed. Q. As an actor, how influenced are you by the demands of your audience? There’s no influence on me. I do what I like, both for my characters and my style of acting. If I am enjoying doing something a certain way, I do it. I don’t depend on what audience wants. Hence, if you see, with every new film, I try to break the image created by my previous work. So Babulal from Luka Chuppi will feel very different from Kaleen Bhaiya of Mirzapur. Similarly, Madhav Mishra of Criminal Justice is different from anything that I have done in the past. He has a unique quirk. His world is totally different. He is in a crisis and suffering from an illness. He has his own complexes and gets treated by a psychiatrist. He just happens to enter this story. When my entry happens, people would think what will this guy do. He quietly enters out of nowhere and leaves unassumingly. But when the story moves forward and layers unfold, you realise his story is very different. 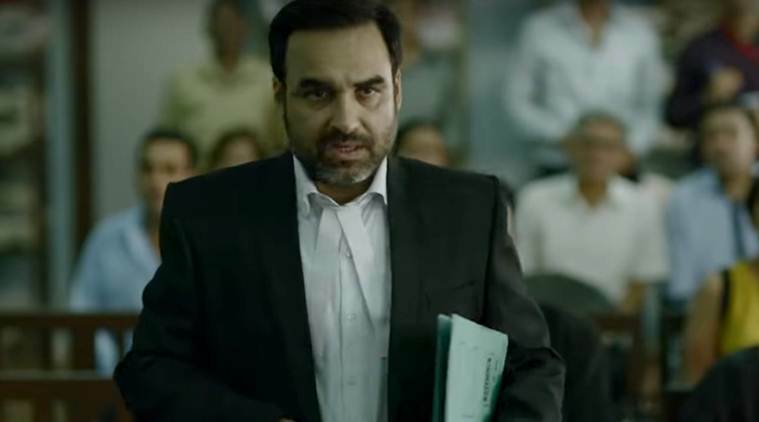 Pankaj Tripathi plays lawyer Madhav Mishra in Criminal Justice. Q. You own career seems to resemble Madhav Mishra’s journey. You entered quietly, no one expected you would come this far but you kept making your mark. Totally. I was Madhav Mishra of acting. In Criminal Justice, I am a lawyer. That’s the only difference. Our worlds are very similar. Q. Many artistes have lately expressed how the stories of hinterland are slowly becoming a template and that it’s important for us to be cautious to not get trapped in a formula. Yes, we need to be aware. Just because stories from North India are doing well, everyone’s gone there. Every story requires its own landscape. Emotions, however, are universal. I was in Germany and I saw a woman crying as she was seeing her son off to school and I was reminded of my father, who used to get emotional while dropping me at the railway station. But yes, the story does need a correct landscape. You can’t set a film with its story written with urban backdrop in a rural setting just because that’s selling. Urban setting stories will also move you. Our software is such that we want to listen to stories from anywhere. Earlier we used to listen from our grandmothers, now we want to hear from filmmakers. Q. Why is it that even in the case of small-town stories, audience embraces something like a Bareilly Ki Barfi or a Stree but outrightly rejects a Sonchiriya? Is it because we still need conventional tools, like songs, to attract audience into the theaters? Yeah. See, Bandit Queen was made on the landscape of Chambal and it had music by Nusrat Sahab. It’s a wonderful soundtrack and I still listen to it. So, yes our society is festival oriented. Even today, for a large section of the audience, cinema is purely a medium of entertainment. When a family spends Rs 2,000 for a film at a multiplex, they want to be entertained, hear songs, laugh and cry during a movie. So, they run away from a film which does not have a song or some humour. Humour is the only emotion which makes us forget everything in that moment. And that’s rare. That’s why comedy films run successfully in our country. Hence, in my films, even if I am not making the audience laugh, I do try to make them smile so that they engage with me. A smile is often enough to hold your attention and then one can go on talking about serious things. Q. Don’t you feel this restricts actors and storytellers? No. I don’t do for the sake of doing it. I believe I don’t need to crack a joke to make audience engage with me. I don’t need to go out of the film’s content for that. There’s so much humour in serious situations. Even a nod has humour but it shouldn’t distract you from the story. There shouldn’t be any desperate attempt. Q. Recently, Kabir Khan told me how he is loving working with you on 83 not only because how good an actor you are but because how you think and your political ideology. Kabir also said he is uncomfortable working with an artiste, whom his political ideology clashes with. Is that distinction important for you also? It’s a very difficult question. But yes, it’s possible that I will be uncomfortable with someone like that. At the same time, I feel we are professional actors and have been assigned to do a specific job but the process becomes enjoyable only when you work with like-minded people, who are as progressive as you are. You not only enjoy shooting with such people but also feel like spending time off work. Like, I did Abhi Toh Party Shuru Hui Hai with Anubhav Sinha. I just didn’t want the film to end because we would talk about everything under the sun. We would laugh. We would talk about politics and literature.